Villa Lorena, with 2 bedrooms, 2 bathrooms, private panoramic swimming pool and extensive gardens, is ideally located on the hills surrounding the town of Arezzo and is the perfect holiday home for a family looking for peace and relaxation in one of the most sought after areas of the region (being in close proximity to Chianti, Florence, Siena, Cortona, etc). Villa Lorena occupies half of a large farmhouse (with the other part being reserved for the owners who are always on hand should the guests require anything but do not use the gardens or the pool that remain for the sole use of the guests staying in Villa Lorena) and offers bretahtaking unobstructed views over the rolling Tuscan hills. The property was originally built as a mill located within the tiny hamlet of Pieve San Giovanni (with an excellent restaurant within walking distance) and has been carefully restored to manitain all the original charm and character. Inside the villa is set over 2 floors and has extensive terraces providing sensational views over the gardens and the countryside. The interiors have been carefully retsored and furnished to provide a homely yet sophisticated and traditional atmosphere. On the ground floor there are a welcoming lounge with fireplace and tv, a fully equipped kitchen with adjoining dining area, a large double bedroom with en-suite bathroom (with shower) and a laundry room with washing machine. The upper floor is accessed via an impressive wooden staircase and features an open-plan room with 2 single beds, and a separate double bedroom with en-suite bathroom (shower). The bedroom has direct access via big patio doors to a private panoramic terrace. Parking and wi-fi internet access are availabe (free of charge). The exteriors of Villa Lorena have been carefully studied to impress the visitors and offer a relaxing stay. Extensive gardens with gazebo, barbecue, tables and chairs surround the property for unforgettable al-fresco meals. The private swimming pool, reserved for the exclusive use of the guests staying in Villa Lorena, measures 8m x 4m and is open from the 15th of April until the 15th of October. There is no better location for a refreshing dip, or for a drink while enjoying the green nature of Tuscany! The property was in a perfect location and was very roomy. However, we found the interior very gloomy and dark. The décor was not to our taste at all, although this is, of course, personal taste, but we could not find anywhere that was comfortable to sit. There were also a few things that would have improved our stay - eg, some mugs, a toaster and a dishwasher. The garden furniture was also very dated and uncomfortable. Having said that, it was in a beautiful spot. The pool was lovely and the owners very kindly kept it open for us in late October, although unfortunately the weather was not good enough for us to use it. The owners were incredibly friendly and helpful and welcoming and they did not interfere with our stay at all. If the villa was updated and decorated, it would make a perfect holiday location. We also felt that the cleaning charge of 115 euros was rather excessive. Wonderful place to stay. Great house, pool, garden and view. Danke, wir hatten ein paar schöne Tage. Leider war das Geschirr nicht ganz sauber. Aufgrund der schlechten Verständigung haben wir dies dann nicht reklamiert und einfach selbst schnell aufgewaschen. Für 4 Personen finde ich das Haus angemessen, nicht wie angegeben für 6. Mir würde es nicht gefallen, wenn ich im Treppenhaus schlafen müsste, da zwei Betten im Treppenhaus stehen. Aber ansonsten war der Aufenthalt schön, die Vermieter hat man nicht gehört und waren bei kleinen Problemen erreichbar. Und am Ende hat die Kommunikation dank Googl-Übersetzer funktioniert. We enjoyed our stay here. The owners were really nice, the views spectacular, the pool lovely and the pizzeria in the village excellent. Just a few additions would have made it even better. There were no parasol by the pool which meant that when the sun was at its height we had to find shade elsewhere. There were no tongs for the barbecue. Some cooking oil in the kitchen would have been useful as would some mugs rather than just the small coffee cups. The one thing I would disagree with is that it sleeps six. Yes there are beds for six but two single beds are on the landing at the top of the stairs. In my opinion these are not suitable for children, I'd worry about the stairs if they got up in the night. Nor do i think are they suitable for adults, the only toilets are en suite to the bedrooms and they would have nowhere to hang their clothes. So treat it as sleeping four with a couple of spare beds in case of arguments! Die Villa Lorena und der Garten hat uns mit ihrem Charme begeistert! Die Fotos täuschen nicht, man bekommt was einem versprochen wird. Die Lage war ruhig, also perfekt zum Entspannen. Der Pool war groß und sauber, es gab sogar Luftmatratzen vor Ort, die von unserer ganzen Familie gerne genutzt wurden. Auch die Küche war mit allem ausgestattet was man für den Alltag braucht, der Außengrill kam auch mehrmals zum Gebrauch. Eventuell wären die Wände (Innenanstrich) noch renovierungsbedürftig, auch draußen das Pflaster zur Gartenlaube , eine kleine Überholung würde definitiv nicht schaden. Die Vermieter waren sehr freundich, sie haben uns mehrmals Tipps für Restaurants und Weinguts gegeben. Wir sind rundum zufrieden mit unserem zwei-wöchigen Urlaub in der Toskana. Wir kommen gerne wieder! Schöner Garten,tolle Lage ,schöner Pool,nette Vermieterin,das Haus selbst zweckmässig eingerichtet. Das ginge mit etwas Farbe besser. 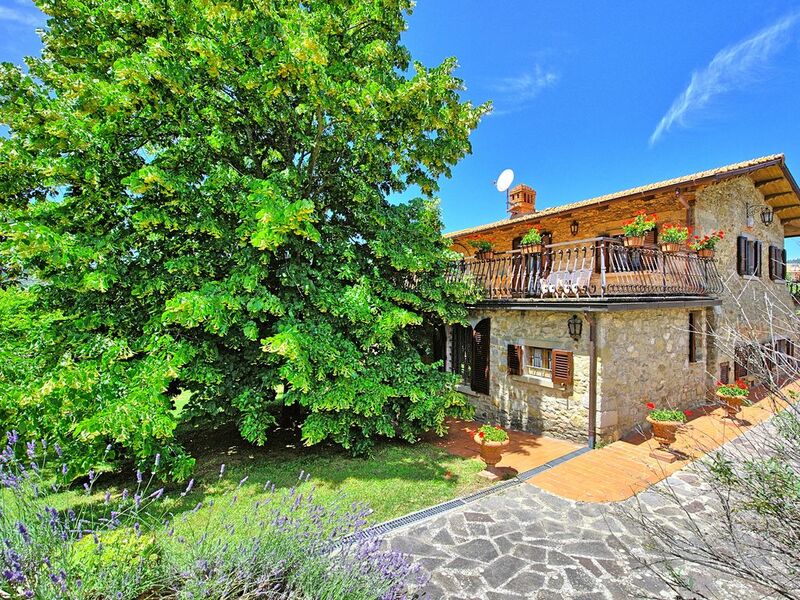 Villa Lorena occupies a fantastic location, panoramic and relaxing, in the heart of Tuscany. This partiularly lucky position allows the guests staying in this property to live the real Tuscany and being in easy reach to the main towns and attractions of the region (Florence, Siena, Chianti, Cortona, etc). Pieve San Giovanni with grocery and a restaurant is 50 meters away, a large supermarket is approx. 4 km away, Arezzo with shops of all kinds and railway station 10 km, Cortona 41 km away, the Chianti region is within 50 / 80 km, Siena 70 km away, the Val d’Orcia area is 60 / 90 km, Florence 90 km away.